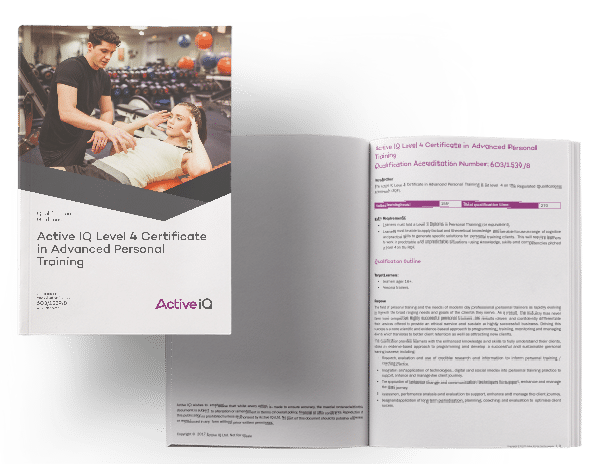 The field of personal training and the needs of modern day professional personal trainers is rapidly evolving in line with the broad-ranging needs and goals of the clients they serve. As a result, the industry has never been more competitive. Highly successful personal trainers are results driven and confidently differentiate their services offered to provide an ethical service and sustain a highly successful business. Driving this success is a more scientific and evidence-based approach to programming, training, monitoring and managing clients which translates to better client retention as well as attracting new clients. Sign up to PT BUSINESS to supercharge your career. Access our business assets, personal development IMMERSION training, and receive 25% off all CPDs. Do I Need Any Existing Qualifications? Learners must hold a Level 3 Diploma in Personal Training (or equivalent). Learners must be able to apply factual and theoretical knowledge and be able to use a range of cognitive and practical skills to generate specific solutions for personal training clients. This will require learners to work in predictable and unpredictable situations using knowledge, skills and competencies pitched at level 4 on the RQF. PT MENTOR™ accessed daily via messenger or text. immersion sessions accessed weekly on Saturdays. The hub training days, run on the first Saturday of every month. A PT MENTOR™ is simply someone whose actions, attitudes and successes, inspire and motivate others toward achievement. PT MENTORS™ lead, guide, focus, and drive their trainees. They set goals, create action and business plans, overcome objections and obstacles, and smash their targets. Your PT MENTOR™ will spend time with you in the gym environment, preparing you for your observed assessment. Here you will cover advanced cardiovascular and muscular techniques and Training Systems. This synergy of the practical and theoretical is BODYCORE’s signature approach to learning and truly prepares you for the real world gym environment. What Is A Hub Training Day? These are run monthly, on the first Saturday of the month. Here you will write your exams, perform your observed assessments and hand in your portfolios for marking. Can The Course Be Paid In Installments? Yes. There are flexible payment options with our third party finance company Payl8r. Use the calculator to find out more about the monthly payment value and terms. What Is The Next Step On Completion? Still have a question unanswered? Live chat with a member of the BODYCORE team. This guide tells you more about the qualification and the units you will learn during the course.